If you're anything like me -- which is to say, a huge video game nerd -- you've always wanted to see Master Chief train his pulse rifle crosshairs on Mario. Or watch Baraka from Mortal Kombat II go Ginzu on Q*Bert. Or determine how Lara Croft, um, stacks up against Dana Plato from Night Trap. OK, bad choice of words. Anyway, here's the deal: Game history is rife with memorable characters. And also Bubsy. Still, in the end, there can be only one. One character to rule them all ... or at least spawn a dozen crappy ports, cash-in cameos and half-baked sequels. Biggest sibling non-rivalry since Cal and Billy Ripken. Well, unless you consider Luigi's Mansion an unappreciated classic. Whaddya mean the wagon can't carry 800 pounds of meat? "Night Trap" is essentially an unwatchable movie, just like the two "Tomb Raider" films. On the other hand: Angelina Jolie. Advantage, Croft. Talent imitates, programmers facing deadlines steal. And Lee look-alikes will be showing up in games long after Escape from L.A. is forgotten for good. Sorry, Tommy, but Duke Nukem 4ever will be worth the wait. Assuming the Mayan apocalypse doesn't happen first. Blinx swept into dustbin of video game mascot history alongside James Pond and Bonk; Chief the most profitable Microsoft creation this side of Office. Carpal Tunnel or sprained thumb? Orthopedic specialists the real winners here. Exhibit A: angsty, Glock-toting Shadow the Hedgehog. Exhibit B: playable Big the Cat. In the case of Gamers vs. Sega, the jury finds Sonic's friends guilty. On all counts. Mario's vague resemblance to Ron Jeremy only makes him more loveable. Lack of a decent, "Enter the Dragon"-themed fighting game -- from an industry that continues to pump out "Superman" titles! -- is both inexplicable and inexcusable. Dour Chief takes his planet-saving battle against oversized alien snails, talking space monkeys and the plant from "Little Shop of Horrors" a tad too seriously. Tetris blocks have never starred in a bad game; if you aren't old enough to legally drink, you probably don't remember a good Sonic game. Croft's ongoing war against endangered tigers is probably illegal, definitely a bad example for the kids. Blocks let you kill time while actually playing a game. From Donkey Kong to Super Mario Galaxy, the Mario Dynasty continues. Little known fact: white gi-clad karate guys required in all fighting games per 1982 federal statue. Also, good luck sweeping the leg in 5-inch stilettos. Fire hydrant-sized chain saw rifles vs. telephone pole-length swords. Compensating much, fellas? At this point, you'd think Mario would assign Princess Peach a Secret Service detail. Only thing more aggravating than slipping on ice is falling into molten lava. Both speak to our deep-seated modern anxieties over increasingly incomprehensible mechanical and biological technology are fun to shoot. In all fairness, sometimes the first aid kits and assault rifles are inside the wooden crates. No matter how many WWII games are made, stupid Nazis just won't stay dead. Notable ninja video game achievements: saving the world, beheading everything in sight, destroying M1 Abrams battle tanks with handheld daggers (per The Ninjawarriors), performing 25-foot-high spinning pile drivers, kidnapping the president. Notable pirate achievements: none of the above. Sadly, the post-apocalyptic future of interstellar drop ships and cybernetic power armor does not include Rogaine. Burn yourself saving the girl, then do it all over in the sequel. Art imitates life! Dear game designers: so many crates, so where are all the forklifts? Just wondering. 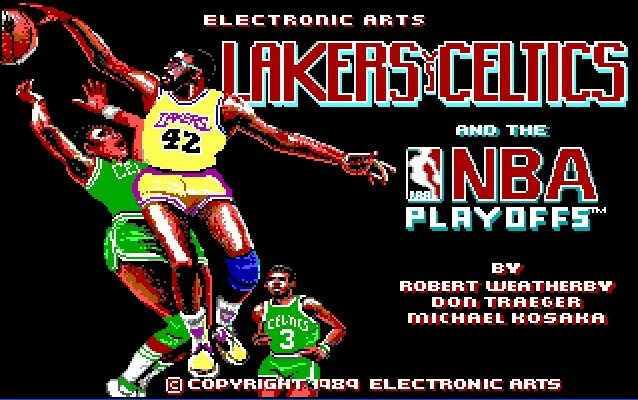 Hard to believe this matchup hasn't been made into an actual game ... yet. It's not the gi that bothers us; it's the stupid matching headband that often accompanies it. Video game ninjitsu only employment category unaffected by economic downturn. All-Ninja team in Baseball Stars was awesome. No hideous Saturday morning cash-in cartoon, no upset for Q*Bert. Both obvious CIA black ops mind control projects to prepare American teenagers for the invasion of Panama. Battle-weary Ikaris prime candidates for PTSD; NARC Cops might be psychos, but winners don't do drugs! One is a freakish monster with knives for arms; the other pals around with a chimp while -- ahem -- rescuing small children. In retrospect, Jacko is far more disturbing. You must defeat Sheng Long to stand a chance. Um, good luck with that. You didn't need bus fare/lunch money, anyway. Real-life Ronnie would be too busy riding a hydraulic cabinet into the danger zone and/or wasting Sandinistas with a way realistic Uzi to be kidnapped by ninjas. Guile? Bad man. Chun-Li? Classic. Urien? No, no, a thousand times no. 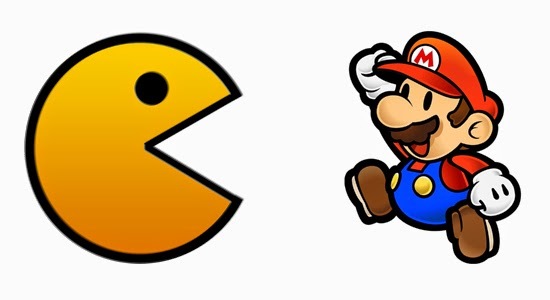 Pac-Man only video game character to surpass Uzi's worldwide brand awareness. Looking back, it only felt like the NARC cops has submachine guns for hands. Ms. Pac-Man's 256th board as playable as Sheng Long, Polybius. If Reagan won the Cold War, nobody told Zangief. Home versions of Pac-Man never watered-down with lame sweat-for-blood swap; trade one of Baraka's arms for a can opener and he'd be a lot more practical. Ms. Pac-Man intermissions tell touching, timeless story involving stork, babies; Street Fighter II has you beat up cars. Unauthorized rip-off -- really, look it up! -- was actually a better game. Strike Big John down from play-by-play duties, and he ends up as a Jedi hologram in Madden 09. Toughest matchup in the tourney. Ambulance gets the nod on sheer absurdity. Chambers' double-pump slams from beyond 3-point line need R. Kelly accompaniment. Eagles QB No. 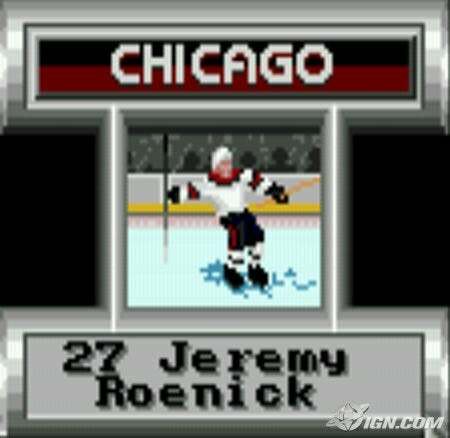 12 presaged Michael Vick from Madden 05, but Roenick is best video game hockey player ever. A Halo game that replaced talking space monkeys with the Duck Hunt pooch would sell 100 million copies. Lame, sprite-swapped Mr. Dream may as well be Glass Joe. Put them in the same video game broadcast booth for maximum manic-depressive effect. If Campbell is Achilles, Bo is Zeus. Pow! He'll remember that number! 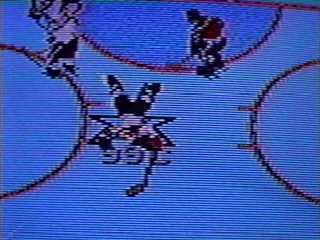 Roenick will flatten you on one end, score on the other; as in real-life, video game Chambers can't play a lick of defense. Unlike Tyson, giggling dog can't be KO'd. No matter how close you are to the TV screen. There's a man down -- and it ain't Bo. Pain-bringing Madden ambulance can run over, like, 10 guys at once. Tecmo Bo won't run you over. But only because you can't catch him. No stoppage of play, no reason for ambulance to enter field. Stealth assassinations are nice, but at the end of the day, who's going to unclog your toilet? Tecmo Bo can walk on water -- specifically, opposing defenders' salty tears. The best there ever was. The best there will ever be.